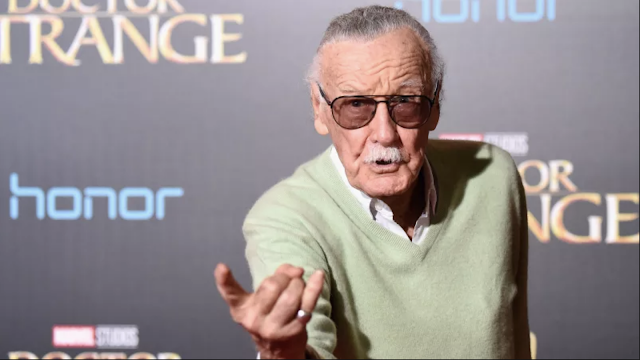 via SAN FRANCISCO (KRON) - Stan Lee, the creator of Marvel Comics, has died at 95. According to TMZ, Lee was transported from his Hollywood Hills home Monday morning and was taken to the hospital where he later died. Lee started Marvel Comics with Jack Kirby back in 1961. He started off with The Fantastic Four and went on to create Spider Man, Black Panther, X-Men, The Incredible Hulk, and more. He is survived by his daughter, Joan. Eminem has finally responded to Machine Gun Kelly after he released a diss track titled "Rap Devil" targetting the Detroit MC last week. This all comes after Eminem dropped his surprise album "Kamikaze" which served as a follow up to his not well received previous outing "Revival". 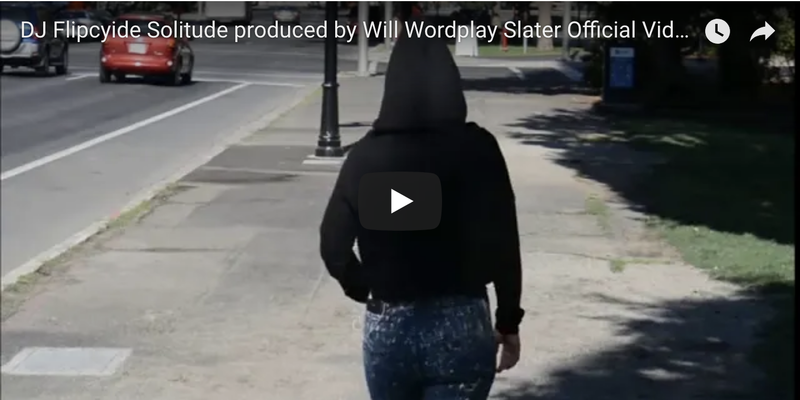 DJ Flipcyide presents his First Official video from his recent release "Solitude" produced by Will Wordplay Slater from DJ Flipcyide's upcoming Trip Hop/Lofi album - Scratchumental. Filmed by Kylie Davis. Starring Darci Carpenter Aka HauteMamaof5. Edited by Si1ver. Daye Gillens-Martinez (professionally known as) Daye LaHookz is an American pop, r&b and hip hop recording artist. 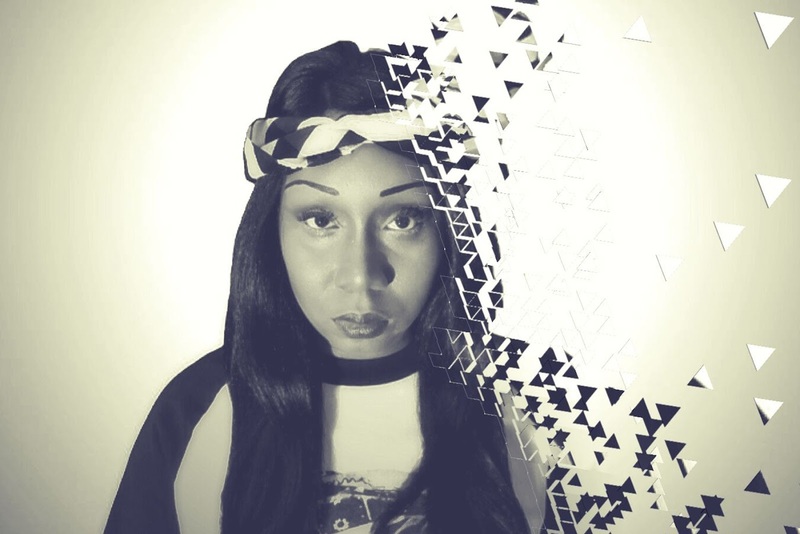 Daye LaHookz is known for her ability to write songs with catchy hooks. as a songwriter. Daye knew very few singers in Texas, so she started demoing the songs she wrote. During the process, Daye began to bond with the songs, so she decided to release twelve of the songs on an album entitled Broken Nights. The songs were written, but the funds to mix, master and distribute the album were not, so Daye launched a Kick-starter Campaign in September 2015. The campaign was set for 45 days, but was fully funded within the first few weeks. Daye's social media fans, friends, family and other supporters worked together to make sure the project would be funded. The album Broken Nights was released on CD Disc February 14, 2016 and will soon be available for digital download via iTunes, Google Play, etc. While Broken Nights may be one of Daye's favorite written works, it is definitely not the first. Daye has been writing and recording since she was 12 years old. It started as a hobby, but in 2001 Daye decided to form an all girls group. The group signed a recording contract only a few months later to Chardino Records. While with the label the group performed as an opening act for JaRule, 112, David Hollister, B2K and many other signed recording artists. Today, Daye LaHookz is an solo artist who writes songs for herself and other up and coming vocalist. One of those vocalist is Mathew Brea, from the hit television show The Voice. Daye has recently worked with the multi-platinum music group Soul 4 Real who was signed in the early 90's by the one and only Heavy D. While working with the group, Daye also filmed a music video for one of the members. The video is entitled, "Things I Do" by Andre Dalyrimple. 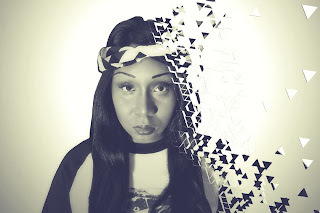 Daye LaHookz currently has a single called Pop Dat streaming on iHeartradio, Spotify, X-box Music. 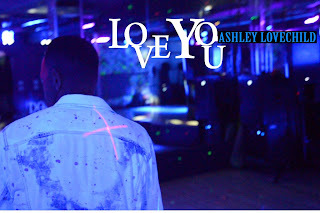 The song is R&B with a Hip Hop twist. 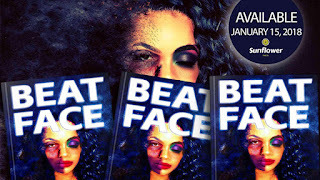 Pop Dat is also available for purchase via iTunes, Google Play & Amazon MP3. 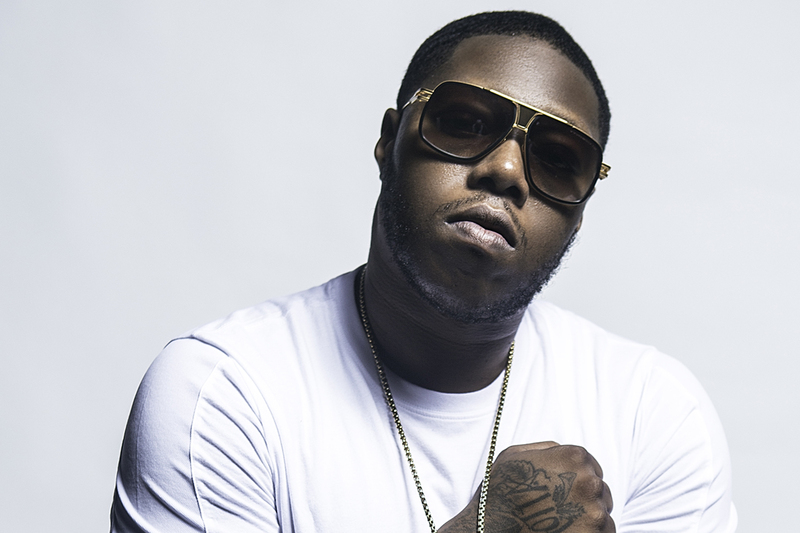 Rapper Z-RO was arrested after allegedly beating his ex-gf in an assault that lasted over 2 hours. Law enforcement sources say... the ex, rapper Just Brittany, reported the incident Monday to Harris County cops, but said it actually happened back in April. It's unclear why she waited 3 months to report it, but we're told Brittany played cops recorded audio of the alleged incident. Sources say cops wrote up a report and immediately sent it to the Harris County District Attorney's Office, which determined it was enough to arrest the Houston icon Wednesday and charge him with felony aggravated assault. He's being held without bond. We will keep you up-to-date on the situation. 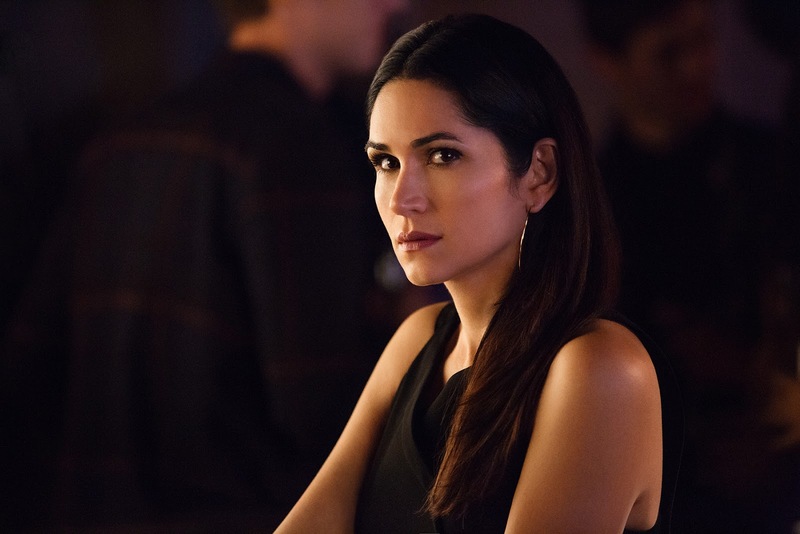 Hispanic actress Lela Loren on Starz hit series ‘Power’ has had enough of the personal backlash from fans. In the show, Loren’s character Angela Valdez is responsible for taking down and arresting her former loverGhost a.k.a James St. Patrick played by Omari Hardwick. While fans of the show are pissed, it seems as if they have taken things to the next level and Loren is clapping back. If you have already watched the season 3 finale of the show then you know that Angela arrested Ghost after lifting his fingerprints from Greg Knox’s apartment. Although Knox was killed by another character, the evidence was enough for Angela to take Ghost into custody. Especially after Ghost’s comments about “protecting them” struck as a murder confession. The scene of course didn’t sit well with many fans that have wanted her character dead for quite some time. Being that we live in the age of social media, fans have been in a frenzy sending out their hate for her character and even some sending out threats to the actor herself. Loren has had enough of the entire backlash and the star took to her Instagram to send fans of the show a message. “For those of you who seem unable to separate storytelling from reality-there’s help for that. Go get it,” said Loren. While her comments are now disabled fans are wasting no time bashing her on social media with memes, gifs and more. There is fact and there is fiction. While threatening comments are not ok in any regard, you can argue that when you play your villainous character very well, fans are going to dislike you. It comes with the territory. I guess we will have to wait and see if fans get their wish. What do you guys think? Let us know down below! 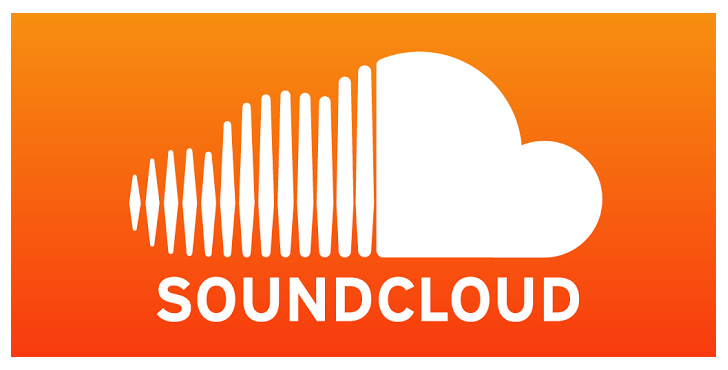 Well if you have been relying on SoundCloud as a means of an informal website for your music, you may want to plan other options. According to the long and bruising report, a video conference was held Monday by cofounders Alexander Ljung and Eric Wahlforss to explain last week’s layoffs to the staff — and during the course of the otherwise largely uninformative meeting, the staff was told the company has only enough cash to last “until Q4,” which begins in 50 days. The report cited an unnamed staffer as saying that morale is “pretty sh–ty. Pretty somber. I know people who didn’t get the axe are actually quitting. The people saved from this are jumping ship. 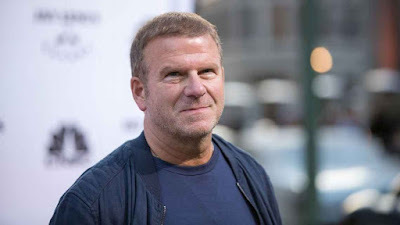 The morale is really low.” Staffers also questioned the wisdom of the company continuing to hire new staff only to lay at least one of them off, Vojta Stavik, as he was in the middle of moving to Berlin to start at the company. The staff also questioned the wisdom of Ljung’s insistence on continuing to hire under the company’s dire financial circumstances. He replied that a hiring freeze would be a sign of weakness. In March, the company confirmed the latest in a series of financial infusions, $70 million in debt funding from Ares Capital, Kreos Capital and Davidson Technology. However, it incurred a 51 million Euro loss in 2015 on revenue of 21.1 million Euros. In January Ljung expressed concern that “risks and uncertainties may cause the company to run out of cash . 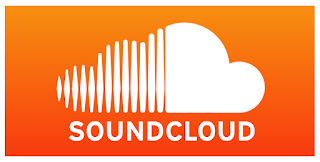 . . and would require [SoundCloud] to raise additional funds which are not currently planned” — concerns that were partially, although certainly not completely, allayed by the March debt-funding infusion. The company has also been hobbled by a long series of executive departures. The new funding arrived after earlier reports that SoundCloud was considering a fire-sale exit because it hadn’t been able to raise the necessary money to continue its operations. It acknowledged the need for new capital, but denied that it was getting ready to sell for pennies on the dollar. “We are actively speaking with a variety of potential investors and other strategic partners,” SoundCloud told Variety at the time. SoundCloud had raised $70 million from Twitter in June of 2016, after raising another $35 million of debt financing in January of last year. HOUSTON – Houston Texans Training Camp presented by XFINITY will begin on Wednesday, July 26 as the Texans take the field in preparation for the 2017 season. This year’s camp will start at The Greenbrier in White Sulphur Springs, W.V. and will be the first time in franchise history the Texans hold training camp outside of the city of Houston. Fifteen training camp practice sessions will be open to the media and public at The Greenbrier: Wed.-Sun., July 26-30; Tues.-Sat., Aug. 1-5; Fri.-Sat., Aug. 11-12; and Mon.-Thurs., Aug. 14-16. The practices from Aug. 15-16 will be joint practices with the New England Patriots. The practices on Mon., Aug. 7 and Thurs., Aug. 17 are open to the media only. All practices will begin at 10:30 a.m. ET. The full Greenbrier training camp schedule can be found at the end of this press release. To apply for credentials to training camp, visit the Houston Texans media website by clicking here. Tickets and parking information for the general public can be found online at The Greenbrier website: www.greenbrier.com/texans. 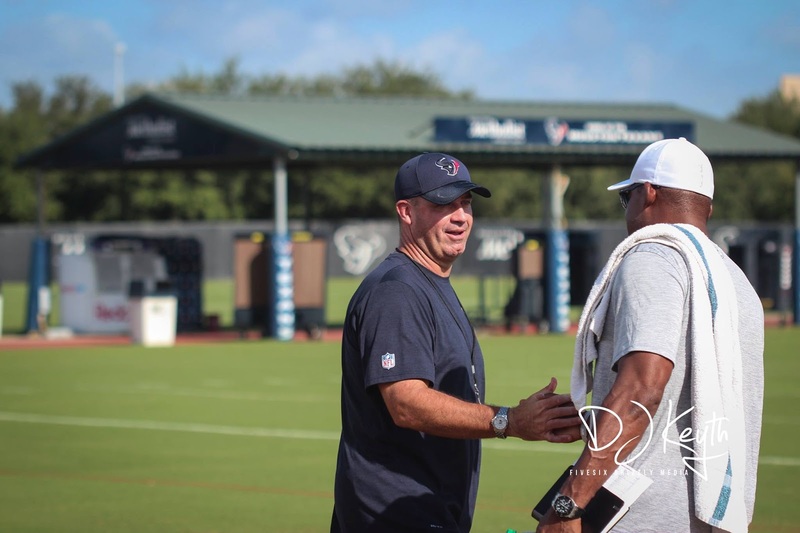 The Texans will also hold two open practices at the Houston Methodist Training Center when they return to Houston on August 21-22 following their second preseason game. The schedule for the remaining training camp practices will be released at a later date. All training camp practices are subject to short notice changes and adjustments based on weather and/or football operations decisions. Updates are promptly available on the club’s digital media platforms and via email from Texans PR. Bold indicates practice is open to the media only and not open to the general public. * indicates joint practices with the New England Patriots. 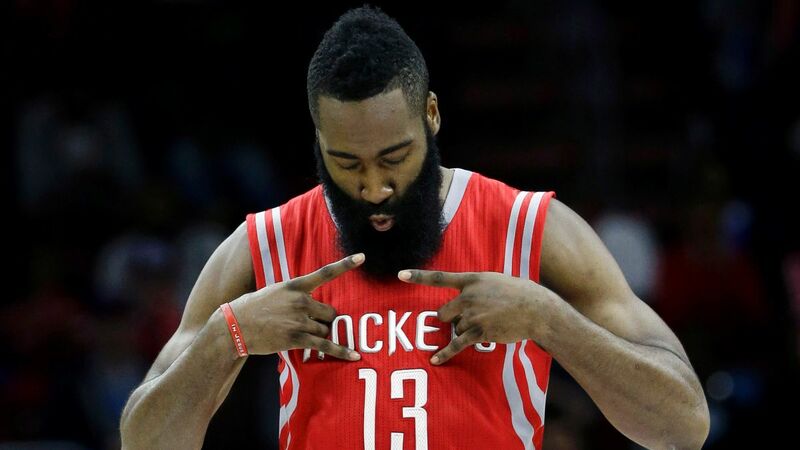 James Harden became a star in Houston, and now he's ready to call the city home. Harden signed a four-year, "supermax" extension Saturday, a whopper of a deal that guarantees Harden about $228 million over the next six seasons and makes it the richest contract in league history. The extension alone tacks another $170 million or so — depending on how the salary cap escalates — on to a contract that still had two more years and nearly $60 million remaining. It's a mammoth deal befitting one of the league's brightest stars, which is exactly what the Beard has become in five seasons with the Rockets. The deal keeps Harden under contract through the 2022-23 season, a lifetime in the modern NBA financial landscape in which so many superstars take short-term deals to maximize their earning potential. While anything can happen, this is about as much security as a player can get. Most importantly for the Rockets in the immediate future is that the extension will not affect Houston's aggressive pursuit of free agents this summer as the Rockets try to make a run at the Golden State Warriors. 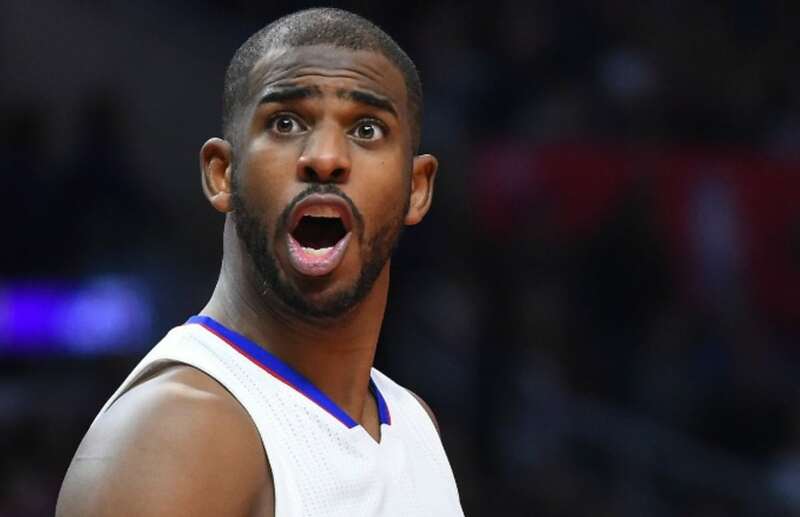 The Rockets finished third in the Western Conference regular season last year but know they have plenty of ground to make up if they hope to truly challenge the defending champions. This mechanics for this extension are new to the NBA in the latest version of the collective bargaining agreement. Harden was named first team All-NBA, making him eligible for a lucrative, four-year extension that also sends a message to the rest of the league that the Rockets are committed to stability as they try to challenge the Warriors in the West. Morey has never been bashful about hunting big game and Alexander has shown time and again that he will give his general manager the financial resources to go for it. With Harden locked up for the next six years, it's time to go hunting again. 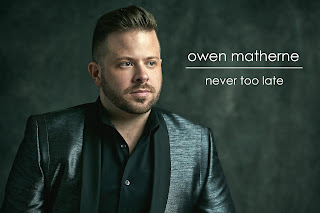 Owen Matherne was born and raised in Houston, Texas. He began singing at a young age, performed in many musicals throughout his teens and even led his church choir before attending college. After college, he started singing covers on youtube and most recently wrote, sang and produced his first album, Never Too Late. 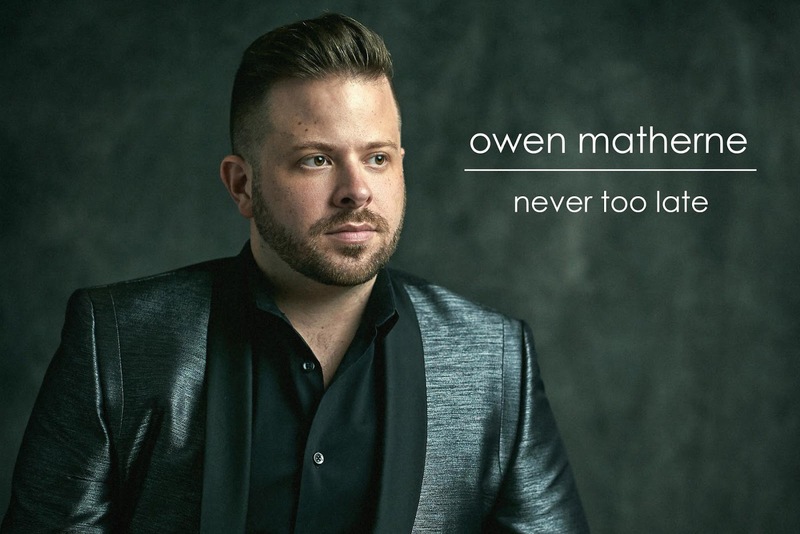 Owen hopes this album will inspire and remind you that it is Never Too Late to follow your dreams. 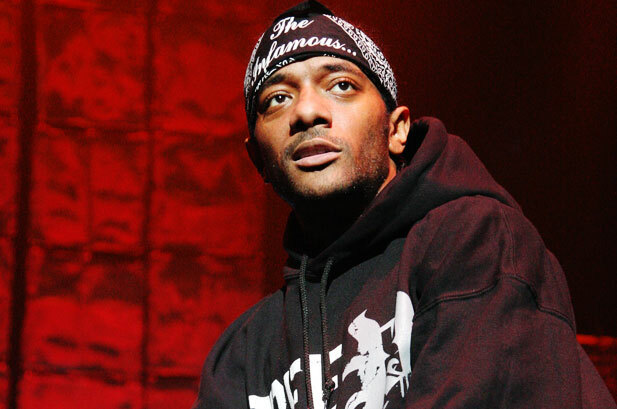 Mobb Deep’s Prodigy has died, a representative for the rapper has confirmed. “Prodigy was hospitalized a few days ago in Vegas after a Mobb Deep performance for complications caused by a sickle cell anemia crisis,” their statement reads. “As most of his fans know, Prodigy battled the disease since birth. The exact causes of death have yet to be determined.” News first broke of the rapper’s passing when Nas posted a photo of him to his Instagram with the caption “QB RIP King P.” He was 42. Prodigy (real name Albert Johnson) was born in 1974. The son of a long line of musicians, he co-founded the hip-hop duo Mobb Deep with Kejuan Muchita (better known as Havoc) in the early 1990s. They released their debut album Juvenile Hell in 1993, and went on to release three more full-lengths before the end of the decade, continuing to release music and tour together in the new millennium. The most Mobb Deep album, The Infamous Mobb Deep, was issued in 2014. Last year, Prodigy released a collection of his collaborations through a BitTorrent bundle.